Stuart Tootal has served with the Queen's Own Highlanders in several tours of Northern Ireland during the Troubles and has seen active service in the 1991 Gulf War and the invasion of Iraq in 2003. He has also completed postings in the MOD's strategic plans department and was a personal lieutenant colonel military assistant to the Chief of the General Staff. He was awarded an OBE for this role in 2005. 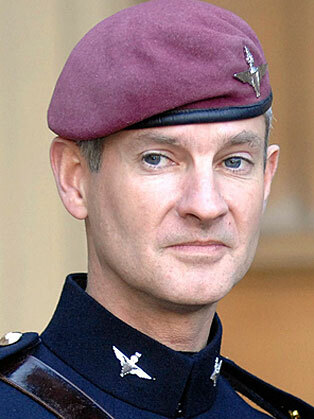 He was selected to command the 3rd Battalion of the Parachute Regiment (3 PARA) in 2005. This included commanding the first UK battle group of 1200 soldiers to be sent to Helmand Province in southern Afghanistan in 2006, for which he was awarded the Distinguished Service Order. The fighting 3 PARA experienced in Afghanistan has been described as the most intense combat the British Army has witnessed since the Korean War. Fifteen members of the battle group were killed in action and another 46 were wounded. On returning to the UK, Stuart set up the Afghanistan Trust charity in 2007. Stuart resigned from the Army following promotion to full colonel in 2008 and is currently the global head of security for a major corporate bank. He is also the bank's head of their UK Military Services Network. Stuart is the founder and Chairman of the trustees of the Parachute Regiment Afghanistan Trust charity for wounded paratroopers and is the author of the Sunday Times best seller Danger Close. Stuart is better placed than most to deliver talks that cross the military - business boundary. With his extensive military and now corporate background he is an unrivalled authority on the transition from battlefield to boardroom. Stuart is the chairman of trustees of the Parachute Regiment Afghanistan Trust, a charity he set up to help wounded paratroopers. He is active in supporting other service charities and helps to raise charitable funds through the proceeds of many of his talks.